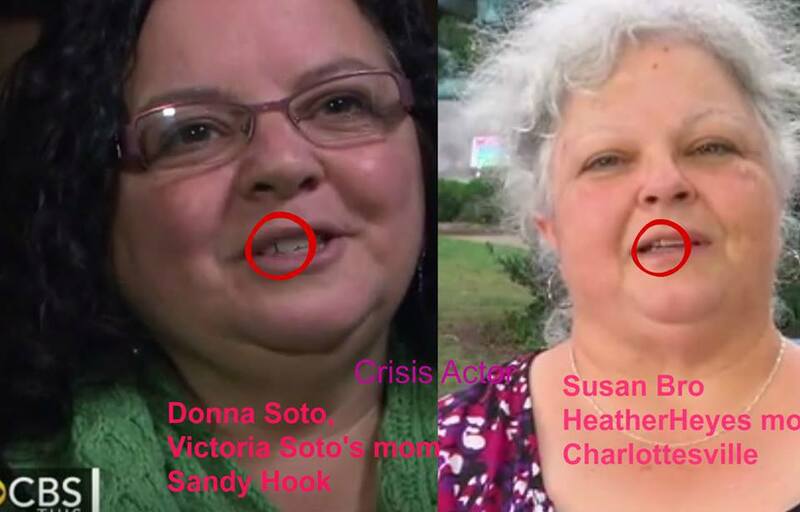 Among hundreds in alternative media, I’ve documented tragic-comic crisis actors used by the US .01% illegal rogue state empire to manipulate policies for war and gun confiscation (here, here, here), and contributed to the body of evidence that Sandy Hook was a false flag operation for gun confiscation. Our government’s attempt at gun confiscation was the issue that sparked the American Revolution. With the above links providing ~50 other game-changing facts demanding independent criminal investigation for a .01% hoax, I am unable to construct any other interpretation of the evidence than a false flag event in desperation by .01% wanna-be masters to keep their rogue state empire concealed. I also see no other rational conclusion that the US is, in fact, an illegal rogue state empire, and neither do professional colleagues with published papers on this topic with our being unaware of any attempts to refute. If the evidence of this factual claim is of interest, go here. For just a summary, keep reading. Independent professional criminal investigation means that the same apparent guilty agencies are removed from any power to investigate themselves, and with the investigators responding to all claims of apparent false flag hoax. ‘US .01% illegal rogue state empire’?! Isn’t that an exaggeration? US military now illegally occupy eight bases in Syria (and here), with escalating bombing of Syria and Iraq of over 4,000 bombs/month and over 84,000 since 2014. The US acknowledges ~500 civilian deaths from these bombs, with an independent count of ~750 in just in June 2017. The destruction of nearly all right lawfully guaranteed in the US Bill of Rights within the US Constitution, and in Orwellian inversion of limited government. Corporate media are criminally complicit through constant lies of omission and commission to “cover” all these crimes. Historic tragic-comic empire is only possible through such straight-faced lying, making our Emperor’s New Clothes analogy perfectly chosen. Ready to demand lawful .01% arrests for OBVIOUS crimes centered in war, looting, lying, or do you need more damage, debt, death? Crimes Against Humanity for ongoingintentional policy of poverty that’s killed over 400 million human beings just since 1995 (~75% children; more deaths than from all wars in Earth’s recorded history).